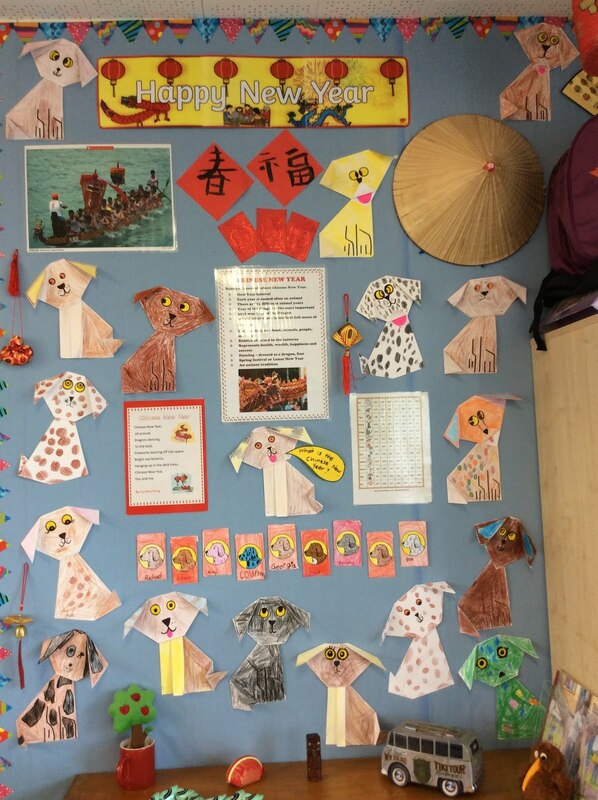 Room22@Sunnyhills: Year of the Dog! We followed instructions to make origami dogs for our Chinese New Year festivities. Labels: Arts and Crafts, Celebrations, PS4:Learning_culture, Whole Class. Happy Chinese New Year - I like your origami dogs!